It was the winter of 1989. I was a 7 year old boy at that time. I was already in love with Renu. I had known her for 4 years. Those who have read this blog from the beginning would know about Renu. But the ones who started to follow this blog in recent times should know who this Renu is. She was the first girl I fell in love when I was in Kindergarten. I never cheated on her. She was my only dream girl. But she never liked me. I was in 3rd standard. Renu was in my class too. Shabir was my Villain because no matter how hard I tried to win Renu, she always admired Shabir because he was stronger than me. Shabir was the only boy in our class who could chew a chewing gum and blow a big bubble out of it. I have tried to blow a bubble too; but I never succeeded. Shabir could also throw the rubber (I meant the eraser) high and catch it with one hand. As soon as he completes a stylish catch, I would attempt the same and would miss the rubber. The girls in the class would laugh. Shabir was good in studies too. He could do algebra when we were in class 3. I could not even recite table number 3 properly. The only two things that I was good at was Singing and Dancing. But that idiot Shabir was good in those departments too. So I did not have any advantage over him. It was our school day dance program. 4 boys and 4 girls were selected for the dancing. I was one among them. Renu was there too :) The villain was also there. But my arts teacher did a great favour for me. She paired Renu with me. 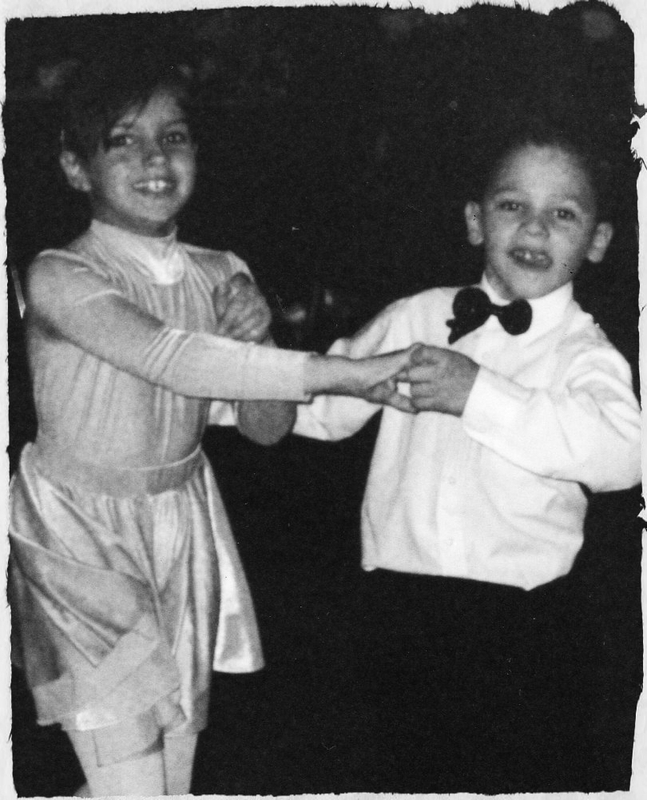 I had never held a girl in my arms and danced before that. So it was a wonderful feeling. It was a ball room dance arrangement for some Symphony I don't remember now. So the practice started. Two pairs were positioned in the front and two pairs were positioned at the back. As I was shorter, I was in the front, Shabir and his partner Radhika were at the back. The rehearsal sessions were memorable moments in my life. Renu's hand was soft like coconut bun. Coconut bun was my favorite junk food back then. My happiness was short lived because my arts teacher tried to do some damage control. She called all of us and said " Chriz. It would not look good with two pairs in the front and one pair in the back. So Renu will partner Shabir". Chriz (Me) : But Miss (That's how we call our teacher even if she was married), then who will be my partner? Miss: Chriz! You are anyways singing the opening song for the event. So let us give Shabir a chance to perform. Those who are reading this piece of history from my life would have no idea about the pain I had when my arts teacher told those lines. I controlled my tears. I went home and cried all night and because of that, I lost my voice and started speaking like Rani Mukherjee. That also meant that I became unfit to sing the opening song for the dance program. Picture Abhi bi baaki hai folks! On the day of the event, Renu contracted Chicken Pox too. I had never been that much happy. Yes, I did smile, Chriz! You can actually collate your pieces on Shabir, Renu and yourself and weave them into a novella/novel. While these pieces evoke the innocence of childhood and are accompanied by delightful humour, they also offer more serious insights on life for the reader who seeks it.